Ideally, Navig Aero is seeking an investor/investors to join this adventure leading to volume production of a new type of aircraft, the dreamsoarer. Share buy-in starts from £12,000 for the first 6%. Early share adopters have first choice on later options. 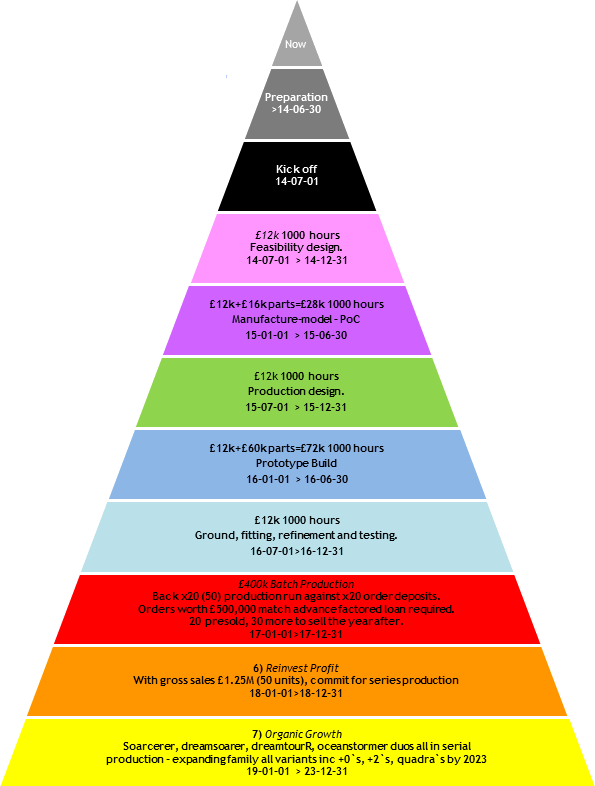 This scheme is quid pro quo to minimise risk and show results. Hopefully with the video presentations, Dream-Team and the AtlanticRanger sales concept, all now supporting the project, we have more credibility to find an investor to take the project forwards in an accelerated funded program - which is the preferred funding option. However there are plenty of other options for moving forwards through the plan’s gates - and with the all important first gate only costing £10,000 this must be possible! 1) Self funding - as a consulting engineer BC can work short term or part time contracts to fund the project. This will obviously slow down progress but keeps things moving forward and very simple financially - right now this is what is happening! 3) As this is a major carbon reducing transport proposal, applying for “green tech” funding. 4) Crowd funding such as KickStarter or Syndicate Room. 5) Mortgage property - as BC is debt free and wants to stay that way, this is a last resort. 6) Creating a mutually beneficial customer-owner relationship - basically the AtlanticRanger proposal. 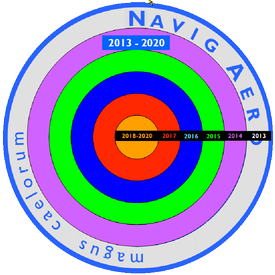 Navig Aero has a three-year rolling share issue and four-year product development of the dreamsoarer aircraft. The journey is from today’s concept CAD models to fully calculated manufacturing prototype (year one), full scale flying production prototype (year two), batch production (year three) and finally serial production (year four). While there are certainly safer places to invest and better potential returns elsewhere, only with Navig Aero can you contribute to a landmark advancement in aeronautics. The project starts off small and gradually builds momentum based on gated results. Non-disclosure agreement and official secrets act signature requirement for all potential investors wishing to receive technical disclosure.